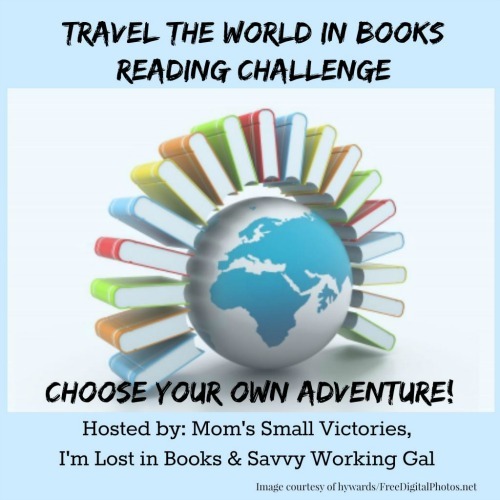 I was so pleased to open an email two weeks ago from Tanya of Mom’s Small Victories, asking if we’d like to participate in her Travel The World In Books Readathon. What a great idea! So we jumped at the opportunity. If you know us, you know we love reading books about many cultures. We also love expanding on books with extra activities. If you’re not acquainted with us, check out our books and book activities page , or our multicultural activities for kids page to see other things we’ve done in the past. 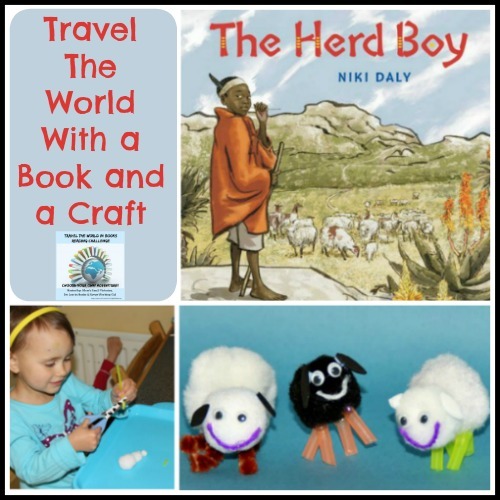 For this challenge we’ve reviewed The Herd Boy by Niki Daly and made little pom pom sheep. Please click on the logo below to head over to Mom’s Small Victories to see our post about The Herd Boy by Niki Daly. While you’re there, have a look at all of the other guest posts, challenges, and activities going on. And stay a little longer to have a look through the rest of Tanya’s site. What fun! Thanks for sharing this with the Kid Lit Blog Hop! What a super-fun idea! We too love to travel the world, both literarily and literally! 🙂 Thanks for sharing this at Booknificent Thursday! Always a pleasure to have you! Great to have this linked up at the Creative Kids Culture Blog Hop – I love traveling through books as well! Those pompom sheep are adorable, what a great extension.